Let me say this plainly and succinctly…“filler fatigue” due to repeated hyaluronic acid based injections is a hoax. There is absolutely no truth to the notion that long term use of fillers causes problems with skin laxity or integrity. Cosmetic dermatologists now have nearly two decades of data on the safety and efficacy of fillers used in the United States and around the world. At SkinCare Physicians in Chestnut Hill, MA (just outside of Boston), we pride ourselves on treating patients safely with hyaluronic acid based fillers such as Restylane, Juvederm, and Belotero, and importantly these treatments have been highly effective over many years. Patients typically will return to see us every 9-15 months for repeat filler treatments, and in over 20 years of injecting patients I have NEVER seen a patient exhibit any of the signs of so-called “filler fatigue”. To back that up, I have polled my colleagues here at SkinCare Physicians, and none of them have seen anything resembling “filler fatigue”. And we aren’t talking about just any physicians, but some of the world’s leading experts in cosmetic dermatology. Even further proof that “filler fatigue” is a myth, is the absence of any scientific proof of its existence. There are no lectures on the topic at major national medical meetings, and it is not the subject of any scientifically well regarded published manuscripts. Frankly, I must admit to being a little puzzled when I read the Huffington Post article by Julia Brucculieri, “This is what happens when you get too much filler in your face”. The only way I can connect the dots to having some remote connection to “filler fatigue” (and I admit this is tenuous at best), is to assume that the patients referred to in the article were overly filled to begin with. Unfortunately, overfilling is all the rage these days, and it looks awful. Why an injector would want to overfill someone in the name of trying to improve their appearance is a mystery to me, but doctors and nurses (and other injectors) do it all the time. 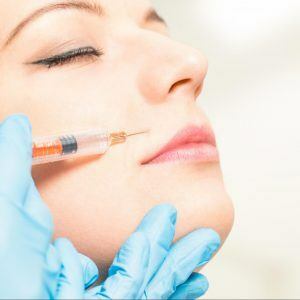 However, when a patient is properly treated with fillers, the concept that a filler “can actually stretch out the tissues under the skin, essentially accelerating the aging process” is simply untrue. So there you have it… scientific support, backed by decades of experience, shows that “filler fatigue” does not exist. Period. If you are interested in discussing what facial fillers can do for you, feel free to book an appointment with one of the expert injectors at SkinCare Physicians. You can also learn more about injectable fillers on our website. 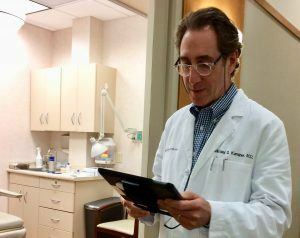 Dr. Kaminer you are simply the best!